Jalopnik recenly held an online Q&A session with Don Swearingen, an executive vice president at Mitsubishi Motors North America. If you're into Mitsu you should peruse the whole thread because questioners jumped all over the subject map, asking about getting the Delica here (not going to happen) and a new Montero (another concept presaging production is coming to the Chicago Auto Show next year), the company's fleet vehicle stance (they kill residuals, Mitsu isn't interested), and a Mirage racing series (right now it doesn't make sense). 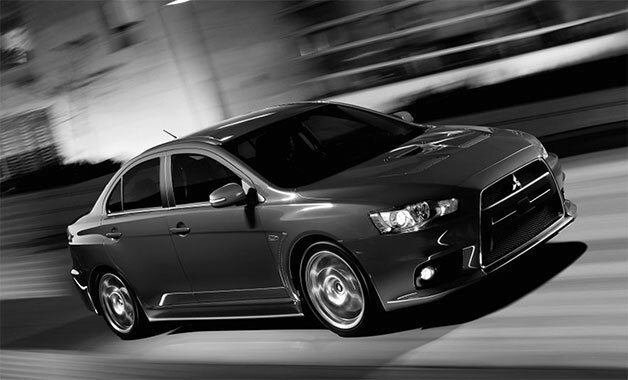 But for any enthusiast, every question not dealing with a new Lancer Evolution XI is merely a side dish. On that note, Swearingen took his turn ringing the death knell for the Evo series, saying "There are currently no plans for an Evo XI," which is kinder than his words at the LA Auto Show when he told Motor Trend, "Its time has come and gone." Nevertheless, he gave us a few more details on the final edition Evo Special Action Model that Automotive News reported on three months ago: it will be a GSR five-speed with "More horsepower, some suspension tuning, and some bits pieces that are still being finalized. Around 2,000 units will be available." Those of you hoping for a spiffier interior or a massive curb weight diet won't take much solace from that, but the 2,000 or so buyers who get to drive the hommage to The Once and Future King probably won't mind.